If your biggest struggle is consistency and finding the motivation to eat properly, I totally get it. You’re probably really busy, working full time and because of that you tend to skip meals. 95% of my clients struggle with the same exact thing. So, instead of eating healthy and meal prepping they end up eating something quick and junky late in the day. This is good for your busy schedule but not for your weight loss goals. What you do and eat in the morning sets the tone for everything else in your day. Our first meal helps our brains and bodies function properly for the remainder of the day. If you skip breakfast, you’re going to be pushing back lunch/dinner and you’re not allowing your body to work the way it’s supposed to. To tackle breakfast, you’ll need to start meal planning help you master consistency. I encourage you today to start your journey by swapping instead of eliminating. Don’t say to yourself, “damn I can never have cereal again”… change your perspective. The same goes for our cultural food. Instead of giving up plantains for the rest of your life, learn more about they’re nutritional content, how it can help you gain muscle/burn fat and having it 2x a week during leg day to help your body use it for energy. I’m going to assume you’ve nodded your head yes. When you were a baby you didn’t go from crawling on the floor to running. You had to bust your *ss a few times first, while trying to gain the balance to slush your body from one side of the floor to the other. Then used furniture, brothers/sisters or parents as props. Then fell a few times. But eventually you got your balance and learned how to walk. After a few months, or maybe years (I don’t have kids so have no idea how long it takes them to learn how to run lol) you were running around like a chicken with your head cut of playing tag. Many women do this at first because we get excited. New year - new month - new week = new me. Confession: I used to eat captain crunch, raisin bran or frosted flakes every single day for breakfast. It was a part of my routine and I liked it because it was crunchy, sweet, quick, cheap and familiar. & then when I started going to the gym again I switched over to a “healthier version” of cereal called special K (it had strawberries in it so it had to be healthy.) - and I would add a banana to it to make it extra healthy with my 2% milk. What I didn’t know was that eating all that sugar for breakfast was causing my weight to stay stagnant. In general, cereal isn’t the healthiest breakfast option for us because it’s highly processed and has a crap ton of added sugar in it. However, if you want to lose weight eliminating a particular food is unrealistic and often sets us up to binge eat in the future. I tried to cut out cereal completely but then when I got stressed I would binge eat and have an entire box in 1 or 2 days. So instead of stressing myself out, I started the method of swapping. I swapped my frosted flakes and special K with some other conscious alternatives. Then I slowly (key word here is SLOWLY) began to incorporate other healthy food swaps into my breakfast as time went on. If you eat cinnamon toast crunch, frosted flakes, fruit loops or any other popular breakfast cereal for breakfast I feel you sis - however making a switch doesn’t have to be miserable when you start small. 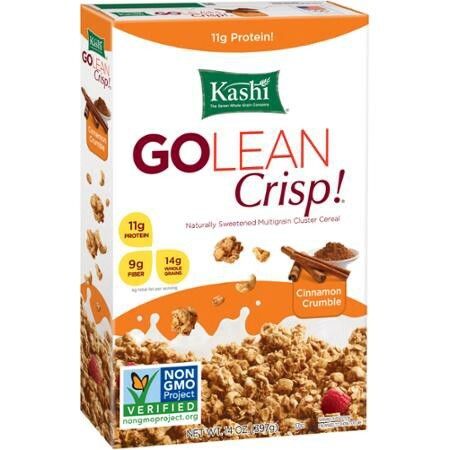 The Kashi, Go Lean brand typically has an average 10–15g of plant protein per serving which is optimal for building muscle and burning fat. I do advise that you also measure your cereal intake. 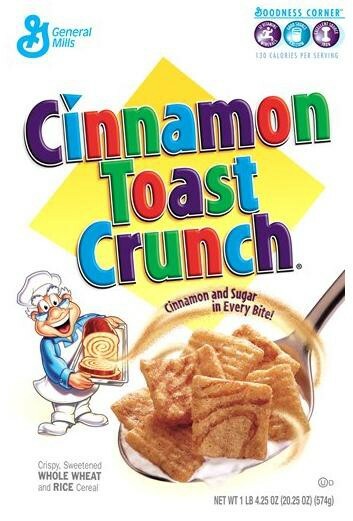 My favorite flavor is Cinnamon Crumble because it has a similar taste to cinnamon toast crunch. :) Hello! Do I really need to say more? B.) You digest white bread quickly and it often leaves you feeling hungry shortly after. C.) White bread is a refined grain. A refined grain is created when a whole grain is finely ground and stripped of its bran and germ, the elements that contain fiber, vitamins and minerals. The refining process, strips away most of the fiber and other vital nutrients your body needs to be at optimal health. The process of refining also gives the bread a longer shelf life. Eating whole grains or flourless options like Ezekial bread will give you a bigger nutritional bang for your buck and will keep you fuller longer. Ezekial bread is my favorite "bread" to have in my healthy eating arsenal because it's made with organic sprouted ingredients and has dense nutritional value. My favorite to use as toast or as french toast from my cookbook is the cinnamon raison brand below. If you don’t like pancakes, I need you to exit this post right now because pancakes are LIFE! However, as we all know regular pancakes aren’t that healthy for us. “Typical pancakes are made with white flour, which is low in fiber and, thus, less filling. 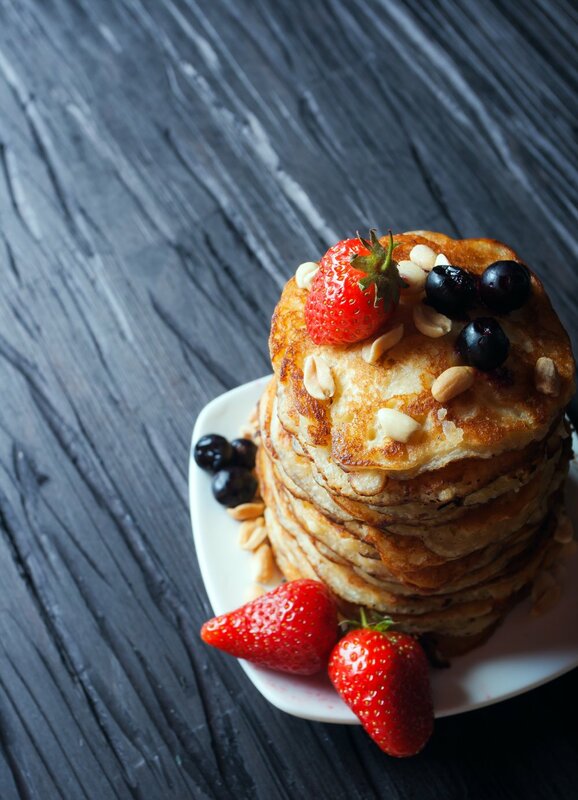 Pancakes are also not particularly high in protein—another food component that helps you feel fuller longer. Add to that maple syrup—or worse, a maple syrup knock-off!—which just adds more sugar (i.e., empty calories) to your meal, and we’re looking at a breakfast that might be tasty, but doesn’t power you through the morning.” - Kerri-Ann Jennings, M.S., R.D. When you’re trying to lose weight, the best kinds of breakfast have high protein foods. & instead of getting rid of pancakes, I’ve turned my regular, shmegular pancakes into protein packed pancakes! I have my protein pancake recipe here in my cookbook. I want to help you start moving away from sugar bombs for breakfast and instead opt for protein-rich meals. Instead of fruit-on-the-bottom yogurt, try plain Greek yogurt (it's going to be a little bitter at first but you'll get used to it) and add fresh berries, nuts, seeds or homemade granola. Surprise! The “fruit” on the bottom of that pre-packaged yogurt is more sugar than fruit. Reduce the sugar content by adding fresh, seasonal fruit and then top with crunchy nuts (walnuts, almonds, etc.) or seeds (chia, ground flax or hemp) for added fiber and healthy fats. If you've dialed in on your macros, are going to the gym more and lifting more weights - the extra carbs will help satisfy your sweet tooth. Mi Abuelo José used to sit on a little chair in front of his house in the Dominican Republic selling chinas (oranges). My cousins and I would sit at my grandparents marqesina (porch) to sip on the fresh juice and enjoy the beautiful weather. Have y’all ever had REAL orange juice? If you have, you know it doesn’t taste like the one you buy from Simply Orange or any one of those other brands. Most store bought juices typically have a significant amount of added sugar. What many women don’t realize is that they can’t lose that extra weight because they’re drinking half of their daily caloric intake with these “additive filled” drinks. For example, a small Simply Orange juice for one person has about 10 teaspoons of sugar. Is that a lot you may ask me? I’ll provide the photo and you be the judge. Rethink your drink!